Cottage and B&B border on the river-basin of the Dommel. This river meanders from Belgium via Sint-Oedenrode to the river Meuse at Den Bosch. 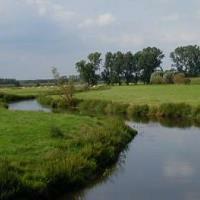 The river-valley is characterized by lowland fields on either side of the river. 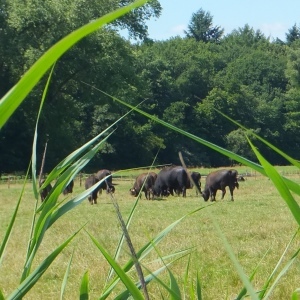 Large parts of the Dommel valley are owned by Staatsbosbeheer and Brabants Landschap and assigned as nature reserve areas. 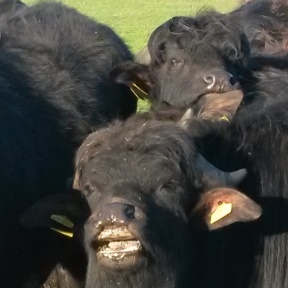 Apart from cows, sheep and horses even waterbuffalos can be spotted in the lowlands near the river. Another striking fact in this landscape are the river dunes near Vressel. Here the river collides onto a buffer-bank of 5 meters high, which was formed in the early glacial period. 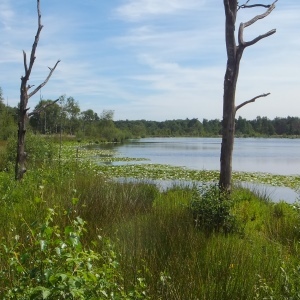 Beautiful nature reserves in the immediate vicinity are the Vressels forest with its Hazenputten and the Moerkuilen and Mosbulten. At a distance of 500 metres of our B&B you will find a so-called nature gate ‘The Vresselse Hut’. 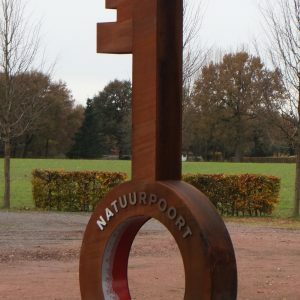 There are several nature gates in Brabant to be recognised by a big key of 4 meters. They are part of walking and cycling networks, ideal starting point to discover the beautiful nature. 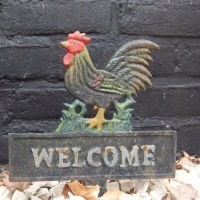 Sint Oedenrode is situated at the edge of National landscape Het Groene Woud, an area of 35000 ha in the city triangle Eindhoven, Tilburg and ‘s-Hertogenbosch with a lot of nature, forest and heather, nice villages, historical sites and a typical, poplar landscape. Some wellknown nature areas in this triangle are the Campina, the Mortelen and the Loonsche and Drunense Duinen. 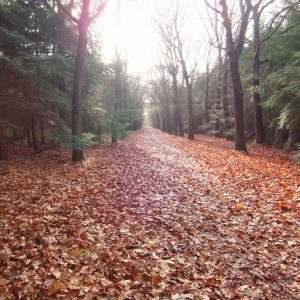 Due to its many nature areas in the surroundings of B&B ’t Nagtegaeltje it is an ideal place for walking and cycling. 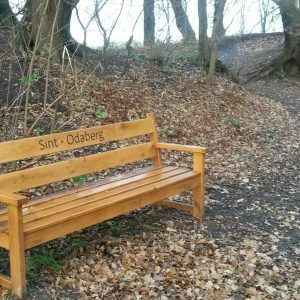 A nice initiative is a short cycle route along toponiem benches (toponiem = old fieldname) in which one is informed by means of stories and films about the rich history of Sint-Oedenrode.